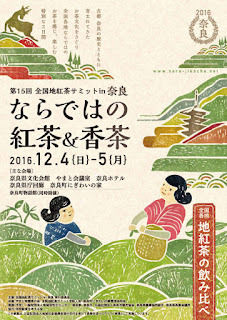 The annual Japanese black tea event is going to be held this coming weekend (December 4 and 5) in Nara. 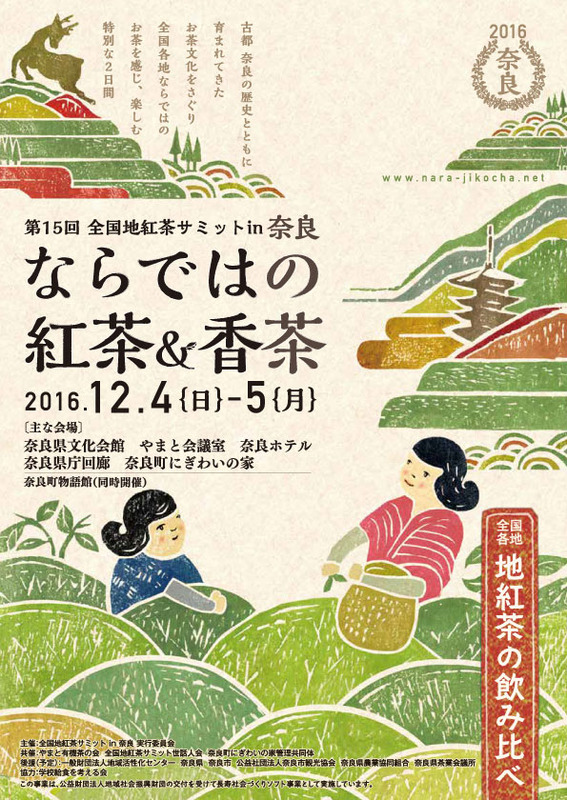 One of the main events is that you can try a lot of Wakocha (Japanese black tea) at the Nara prefectural office. Since about 40 tea farmers will gather at one place from everywhere in Japan, you can taste around 40 different teas if you want while asking about the tea directly to the farmers, which could be very special moment of your stay. Sightseeing spots including a giant statue of Buddha at the Todaiji temple and the Kofukuji temple are within walking distance. If you happen to be around Nara area in Japan, why don't you come over to see what they are like and to enjoy chatting over the cup of Japanese black tea!